I’d like to share my ideas for using Smart Collections in Lightroom 2. The past two years, I haven’t touched collections. What are they? 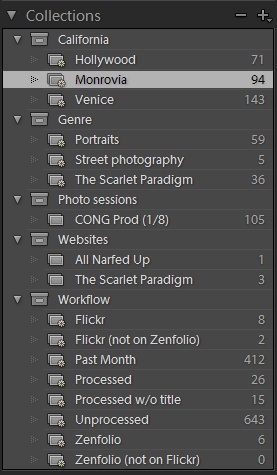 My workflow consisted of picking (P) the best photos, processing those, then exporting low-res JPEG files for Flickr (or hi-res JPEG files to Zenfolio). Blue (label, keypad 9) photos were processed, but not uploaded to Flickr. Green (label, keypad 8) photos are on Flickr. Photos were sorted into folders by year, month, and day. I’d append the event/location after the day. I had to make things easier for myself. I finally added collections and smart collections to help me find photos that need to be processed and/or uploaded. 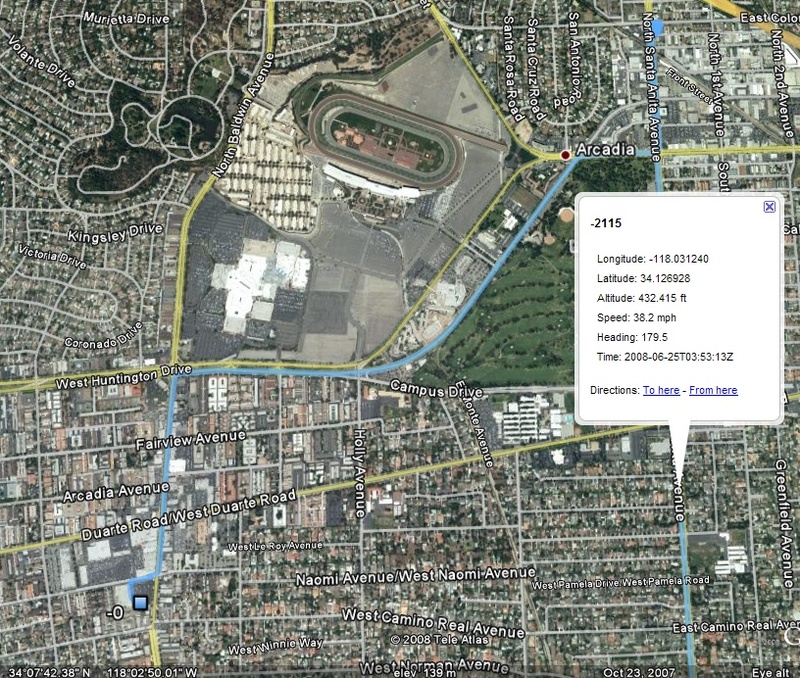 I keyword and geotag my photos liberally, so that’s the driving power behind these smart collections. The California[1. Hopefully I travel out of state so it won’t just be California.] collection set will only work if I add location metadata to my photos. Since I geotag almost everything, this’ll work for me. I’m not sure what else to put into genre, but I’ll figure it out. They’re all based on keywords. Websites are manual collections. I keep track of where photos are posted (aside from Flickr and Zenfolio). The main one is the Workflow collection set. Processed — Photos labelled blue. Processed without title — Photos labelled blue, but without a title. 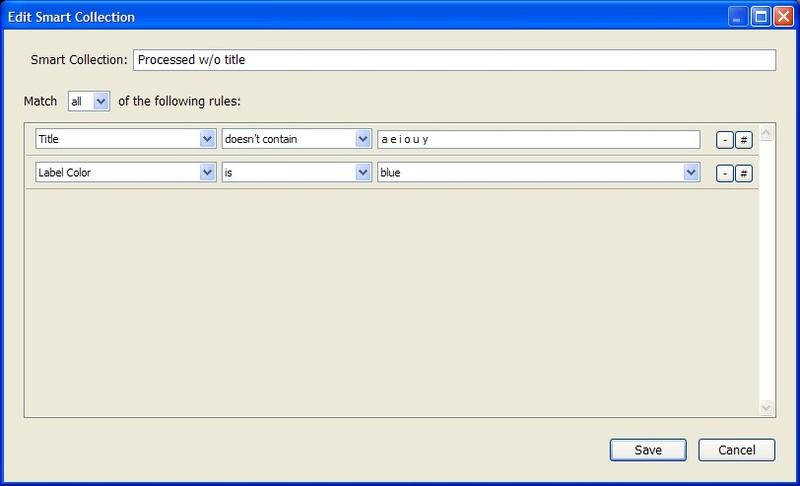 Since you can’t use an “is empty” modifier for Title, entering these vowels is a workaround. The Flickr/Zenfolio collection sets are based on the color label and the “Uploaded to Zenfolio” tag. I’ll need to add smart collections based on stars/picks, especially if I want to make it easier on myself to share my favorites at the end of the year. I have no smart collection for rejected (X) photos. I’m more daring when it comes to deleting photos I’ll probably never touch again. Since you can sort photos by date (Library Filter > Metadata), I might move away from date-based folders. It’s all open to discussion. For now, please leave comments related to Lightroom 2 smart collections. Do you have any ideas for smart collections? P.S. I’ve heard of “The DAM Book: Digital Asset Management for Photographers.” I’ll eventually get it, but if you’d buy it for me, I’d appreciate it!